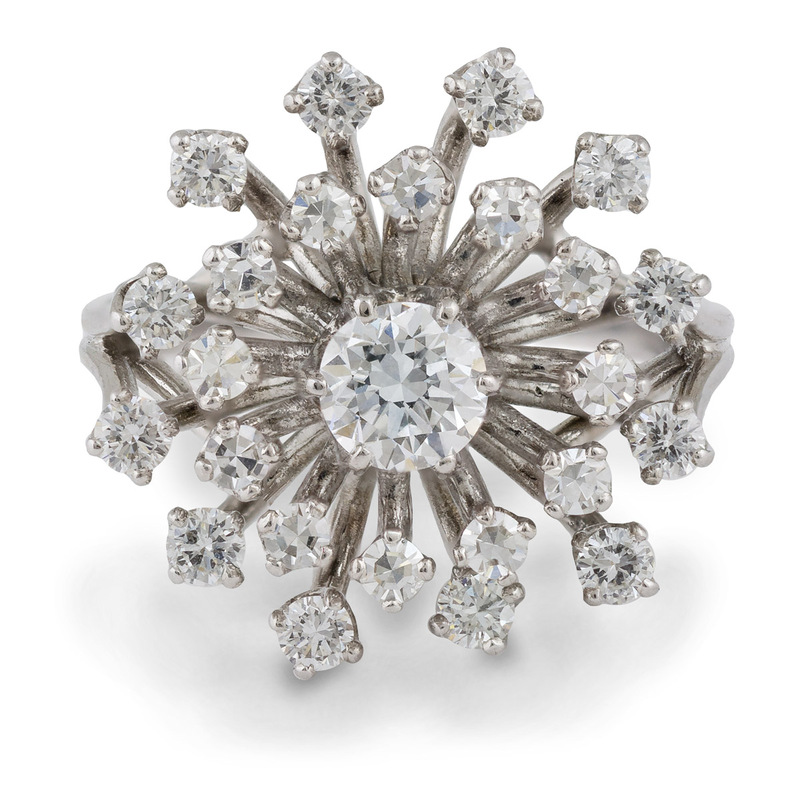 This lovely vintage Platinum ring is a rare bit of history. 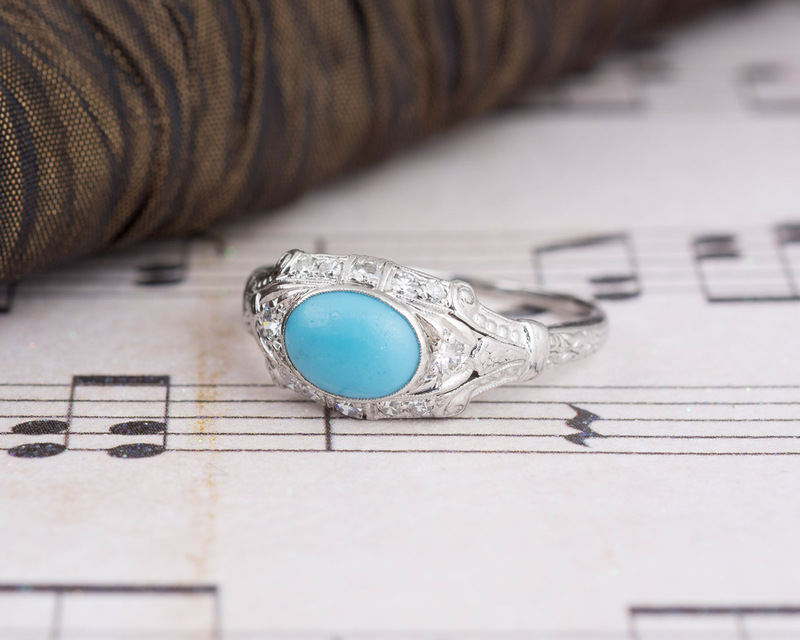 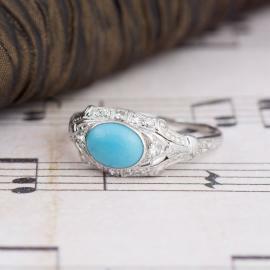 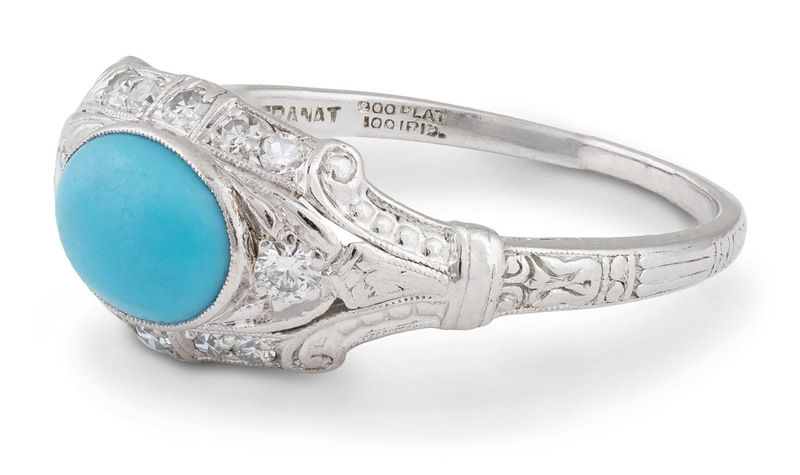 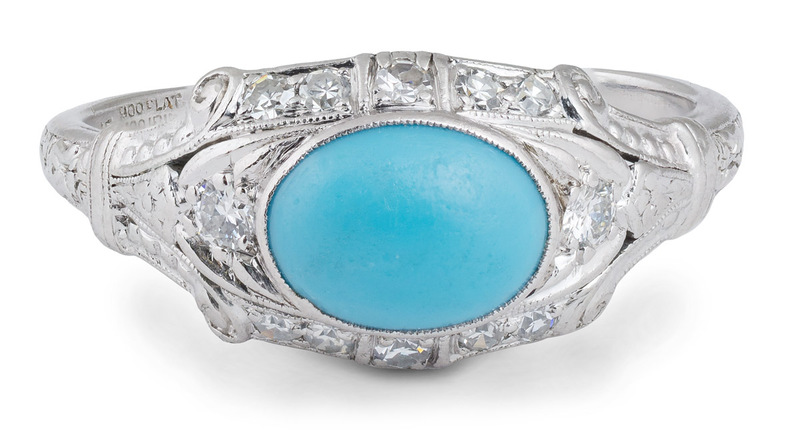 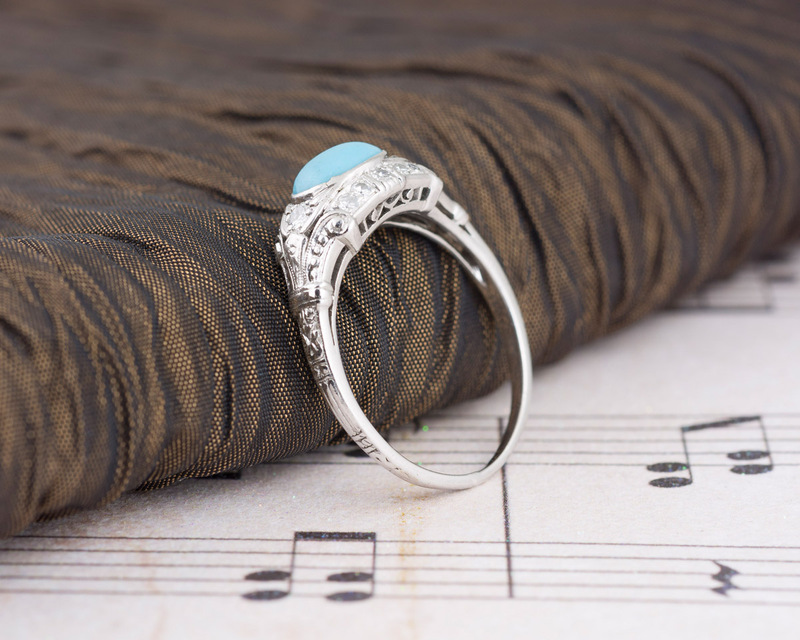 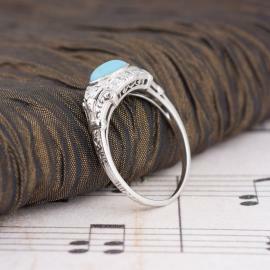 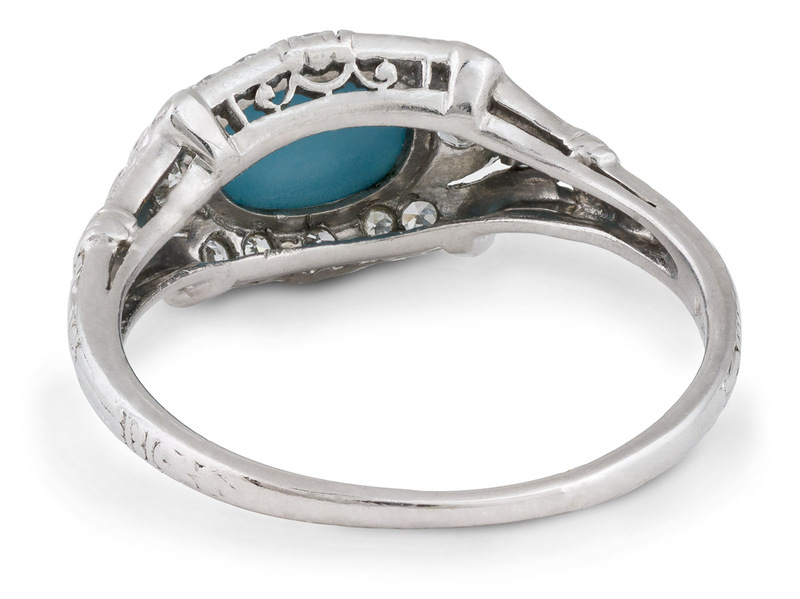 An oval Turquoise stone is surrounded by glittering old cut diamonds in an engraved mounting. 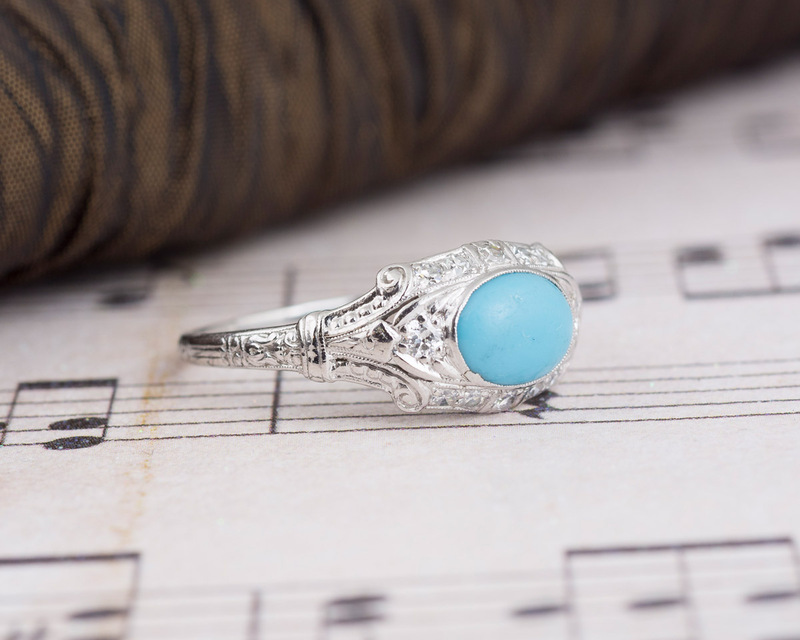 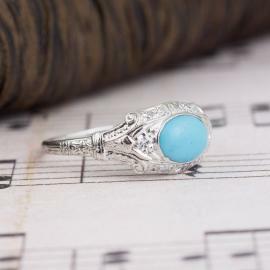 With the delicate scrolls of the engraved pattern, the gently tapered shank, and the subtle filigree details in either side of the gallery, this ring pulls all the stops. 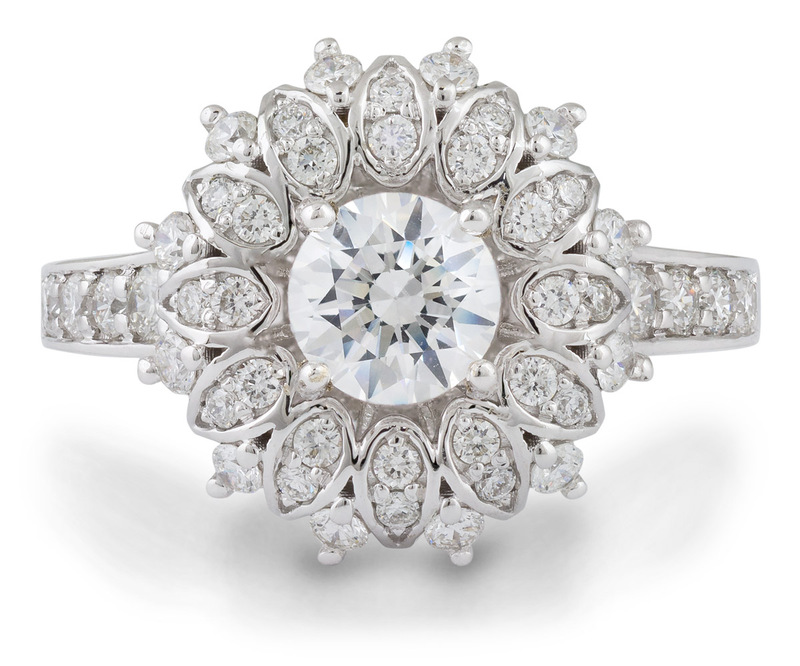 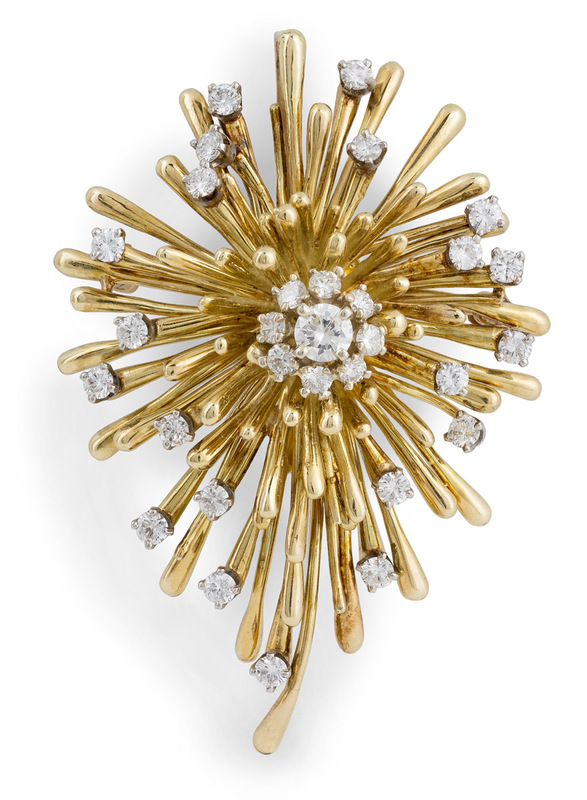 We do not have a precise carat weight for the center stone. 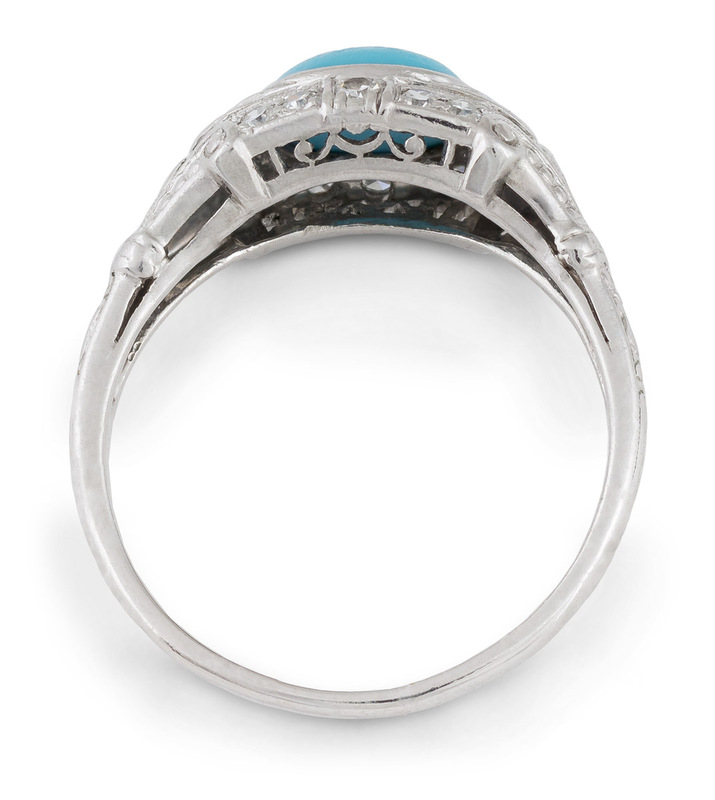 Its dimensions measure 8x6mm.